Auto Repair and Towing Services, Fort Mill, SC. You can get everything you need repaired for your car at Sun City Automotive. 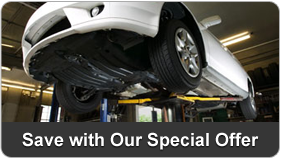 We provide a wide range of car services from admittance to complete mechanical repair. Car trouble and you already have an estimate but you are not sure if you are getting the best deal? Give us a chance and we provide you with a free estimate. We explain you exactly what we are planning to do and the options you have. Right then and there. Fix, repair and care for your car at our shop! Fix, repair and care for your vehicle at Sun City Automotive, a repair shop helping you out with tune-ups, tires, brake replacement, towing service, and auto parts in Fort Mill, South Carolina. Our auto repair shop provides you with all the services you need with a fantastic attitude. We just want you to drive away with a smile. Keep your engine in prime condition with tune-ups at our repair shop. From the oil pan to the spark plugs, we inspect and replace everything needed so that, when you get out on the road, you can hear that baby purr! Slow down and come in to get our brake replacements. If you go too long without replacing your brakes, one day it might be too late to do so. Before you end up with faulty and worn down brakes, come on down to our repair shop for brake replacements. Don't blow out! Switch out your tires today at our repair shop. We make sure you always have properly inflated and rotated tires so you are safe out there on the highways and byways. Broken down on the side of road? Call our convenient towing service. We can tow your car to our repair shop and put it in tip-top shape. Contact us today for towing service. When you are getting your car repaired, we can order the auto parts you need. Also, if you are working on you own car in your garage and need particular auto parts, we'll get them for you. Any parts you need we find and supply to you! Get your auto parts at a fair price through our fast and reliable auto parts service. Technicians at Sun City Automotive's Auto Repair Center have access to the most extensive training in the automotive industry. Furthermore, we employ ASE®-certified technicians for all areas of work performed. To find out more about ASE® certification, click on the link below. ASE® - The National Institute for Automotive Service Excellence. Founded in 1972, ASE® has a single mission: To improve the quality of automotive service and repair through the voluntary testing and certification of automotive technicians. Our Warranty "Peace of Mind"
We currently offer the NAPA® AutoCare "Peace of Mind" Warranty, providing our customers with 24-months/24,000-miles of worry-free protection on qualifying parts and labor. Wherever you may travel, our warranty is honored at over 12,000 NAPA® AutoCare locations across the country. Copyright © 2009 Sun City Automotive. Auto Repair and Towing Service, Fort Mill, South Carolina, SC. | All Rights Reserved.